SteroidTimes.com Covering Anabolic Steroids, Training, Nutrition, Supplementation…and more! Steve Courson strode into the Pittsburgh neighborhood drugstore, looking huge and menacing in gym shorts and tank top. Other customers gawked at Courson’s massiveness, the muscles bulging on muscles–He’s a Steeler, they assured each other, noting the Super Bowl rings–but he paid them no mind. Though gentlemanly, respectful of people, Courson was in no mood for pleasantries or even eye contact; it was the NFL offseason, 1982, and he had come to the pharmacy to purchase anabolic steroids. No steroid prescription was required, not for Steelers at this drugstore. Courson quietly scanned the inventory, reading labels on plastic bottles and vials, asking nothing of the compliant pharmacist hovering nearby. 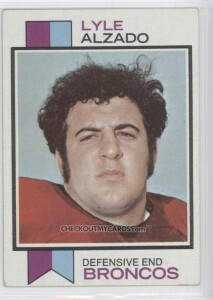 This football player needed no advice about juicin’. He knew exactly what he wanted, ordering plenty of steroids for himself, his O-line teammates, and his power-lifting friends. Into the shopping bag went Dianabol, Winstrol, and Anadrol in pill form, and for injectables, Deca-Durabolin, Winstrol V, and the testosterone esters cypionate and propionate. Courson picked out other compounds, human chorionic gonadotropin to stimulate testosterone production, anti-estrogens to counter side effects of cycling on anabolic androgens; he then finished with a box of hypodermic needle-syringes. Courson wrote a personal check for the total amount, grabbed up the bulging bag, and walked out. For football fans around that pharmacy, the NFL’s ever-growing problem with muscle doping in the 1980s was as apparent as Courson’s physique. Fans, however, ignored what this scene really meant. They just admired a young athlete and his sport. At the time, Courson and other Steelers were immersed in off-season weightlifting and, like a multitude of NFL players representing every team, cycling on anabolic steroids. They were preparing for the coming season, but pros like Courson would also enter a made-for-TV event dominated by the Steelers, the strongest-man competition for NFL players. In his 1991 autobiography False Glory, Courson declared “unequivocally” that 75 percent of his offensive line mates in Pittsburgh used anabolic steroids at least once. Courson, a Steeler from 1977 to 1984, named no names, but other reports were confirming use among period Pittsburgh linemen such as Jim Clack, Mike Webster, Rick Donalley, and Terry Long, while implicating others. Steelers running back Rocky Bleier acknowledged he used anabolic steroids. Offensive linemen were not the only culprits. Defensive stars of the period who would acknowledge using anabolic steroids included Bills linebacker Jim Haslett and Cowboys safety Charlie Waters, along with linemen Joe Klecko and Mark Gastineau of the Jets, Randy White and John Dutton of the Cowboys, Steve McMichael of the Bears, and Lyle Alzado, who played for the Broncos, Browns, and Raiders. Many more NFL insiders of the time corroborated Courson and Klecko about steroid prevalence, collectively portraying that a significant amount of players used, if not a majority. There existed no steroid policy. The league, franchises, union, and players had done nothing to curb anabolic steroids’ spread in the game, since the drugs’ arrival in the early 1960s. Management, in fact, had long publicly purported that performance-enhancing drugs were under control in the league, a problem of the past, and were not proven to work. “Amphetamine and steroid use in the NFL is said to be down dramatically from the early ’70s. This was due in large part to game films, players seeing that they actually were being hindered rather than helped by drugs in games,” Washington Post sports columnist Ken Denlinger reported inaccurately in July 1982, as monsters like Courson and Klecko headed to training camps. The jungle was only getting deeper for survival of the fittest in football. The anabolic era was flying out of control, forever perhaps, and many players were preparing themselves, becoming equipped, to whip King Kong. 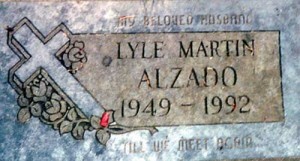 Alzado, L. (1991, July 8). ‘I’m sick and I’m scared.’ Sports Illustrated, p. 20. Bayless, S. (1990). God’s Coach. New York, NY: Simon and Schuster. Blount, R., Jr. (1974). About Three Bricks Shy of a Load. Pittsburgh, PA: University of Pittsburgh Press. Bouchette, E. (1985, May 15). I used steroids, Bleier says. Pittsburgh Post-Gazette, p. 21. Cobb, C. (1993, May 24). Mike Webster medical report. Hematology-Oncology Medical Associates, Inc., Pittsburgh, PA.
Courson, S. (2005, March 7). Interview with author. Farmington, PA.
Courson, S. (2005, May 1). Telephone interview with author. Courson, S. (2005, June 22). Telephone interview with author. Courson, S., & Schreiber, L.R. (1991). False Glory. Stamford, CT: Longmeadow Press. Denlinger, K. (1982, July 2). Teamwork is the solution. Washington Post, p. C1. Fisher, M. (2005, July 10). Waters, Steroids and a Slippery Slope. TheRanchReport.com/Scout.com. Garber, G. (2002, January 6). Outside The Lines: Mark Gastineau and Bootleg Souvenirs. ESPN.com [Online]. Johnson, W.O. (1985, May 13). Steroids: A Problem of Huge Dimensions. Sports Illustrated, p. 38. Johnson, W.O., Lieber, J., & Keteyian, A. (1985, May 13). Getting Physical—and Chemical. Sports Illustrated, p. 50. Johnson, W.O., Lieber, J., & Keteyian, A. (1985, May 13). A Business Built on Bulk. Sports Illustrated, p. 56. Huizenga, R. (1994). “You’re okay, it’s just a bruise”. New York, NY: St. Martin’s Griffin. Klecko, J., Fields, J., & Logan, G. (1989). Nose to Nose. New York, NY: William Morrow and Company, Inc.
Long Positive. (1991, July 25). Steelers’ Long Tests Positive for Steroids. United Press International [Online]. Morrissey, R. (1995, January 10). Drug Suspicions Still Dog Football. Rocky Mountain News, p. 17B. Provost, W. (1983, September 11). Study of All-American Provides an NU Shock. Omaha World-Herald [Online]. Matt Chaney is a writer, editor, publisher and teacher living in Missouri. A former college football player, Chaney specializes in issues of sport, producing reports and commentary for publications such as The New York Daily News and The Kansas City Star. For his master’s degree thesis, Chaney analyzed media coverage of anabolic substances in American football from 1983 to 1999. His previous nonfiction books are: My Name Is Mister Ryan and Legend In Missouri. Chaney and his wife, Laura, operate Four Walls Publishing. For more information, visit www.fourwallspublishing.com. Copyright SteroidTimes.com. All Rights Reserved.